Today we have the best Arena 7 decks in all of Clash Royale to help and get you all the way up to Frozen Peak. In Arena 7, you unlock a bunch of new cards, including the royal giant, princess, and three musketeers. Trying out these new cards is super fun, especially if you are lucky enough to receive the princess. I kept these best decks legendary free so all can enjoy! The royal giant is almost non debatable in being the most hated card in Clash Royale. But the reason it is so hated is because it is such a good card right now in Clash Royale. Basically you want to use the royal giant as your main offensive card while using the rest of the cards as defense against whatever cards your opponents may have. Usually, you want to combine the royal giant with some sort of combination of other troops to do maximum damage, as well as defend it. The deck revolves around the final minute of the game, so don’t get discouraged if you fall down 1-0. 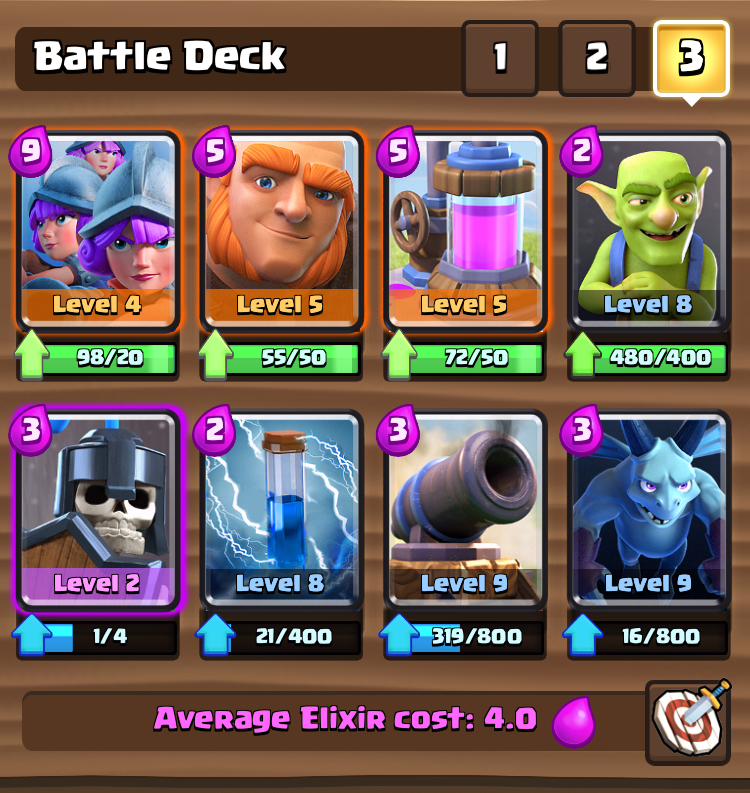 Start building elixir as soon as you can and play defense with your 5 non offensive cards. 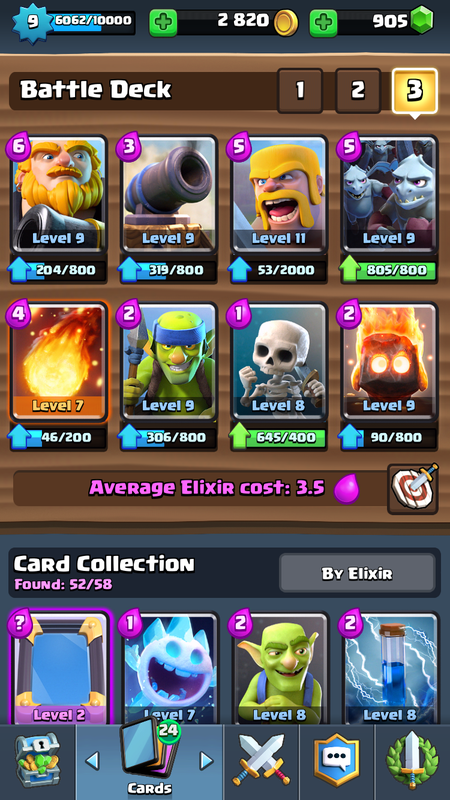 Try to have at least two collectors down as double elixir time hits. After that, you want to place a giant in the back of your base and as soon as you get to 9 elixir, place the 3 musketeers in behind. Start playing good defense in protecting your troops by using all other cards to support. Double prince is the OG arena 7 deck. 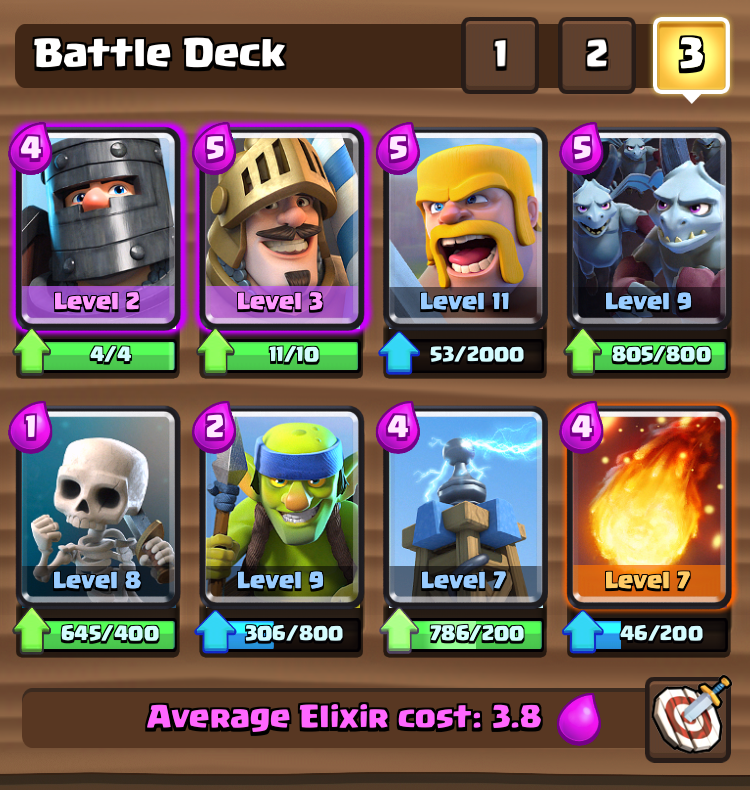 This is the exact deck that I used when the dark prince was first released many months ago. Despite being an old deck, there is a good reason it is still around. The two princes together can easily take out an tower if not countered properly. But double princes isn’t the only push you can do. Double lane pushing is very important to win with this deck. Also push with one of the princes along with minion horde or spear goblins to do some WORK! 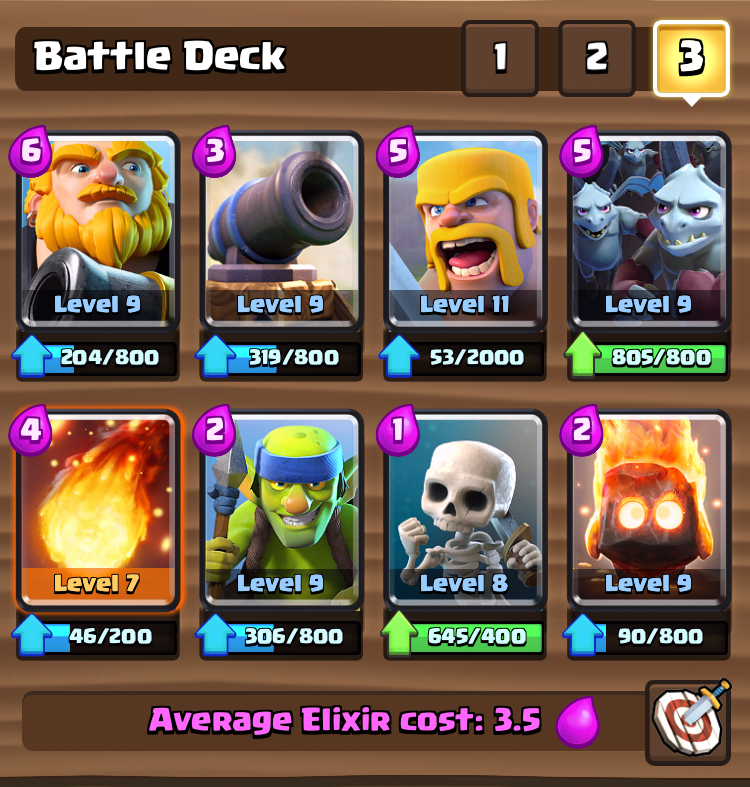 Thanks for reading the arena 7 best deck guide! Look for arena 8 and then arena 9 sometime soon! These are really starting to be the top players in the game and should be fun to make. Once again, thanks for reading! Pingback: 3 Best Clash Royale Arena 7 Decks | Clash of Clans Guide, Strategies, Tricks and More!